We believe in the hands-on approach. We do not just sell sharpening products, we use them. We understand what our customers are looking for, the questions they ask and more importantly, we know how to sharpen. We’re cooks, woodworkers, crafters, gardeners and fishermen. We know the importance of using sharp tools, because we use them everyday in our work, hobbies, and in our homes. In addition, we spend time talking to our customers and understanding their needs. We are interested in what they have to say about the products and we use that information to make continual improvements. We know that sharpening can sometimes be challenging. There are so many products to choose from that you might not even know where to begin. That is where we come in; we are available to help you find the right product for your particular application. We listen to what you have to say and we are only a phone call (800-351-8234) or an e-mail away. 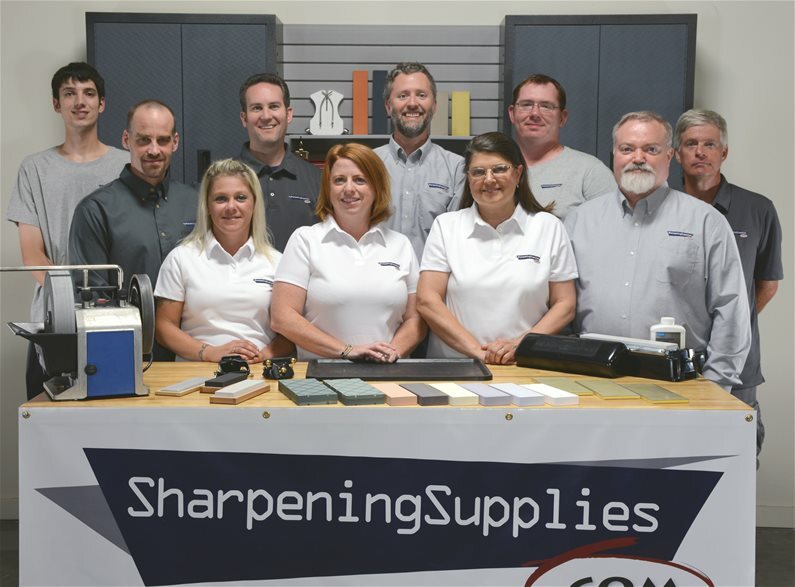 We know the products we sell and we will work with you to find an answer to your sharpening questions. 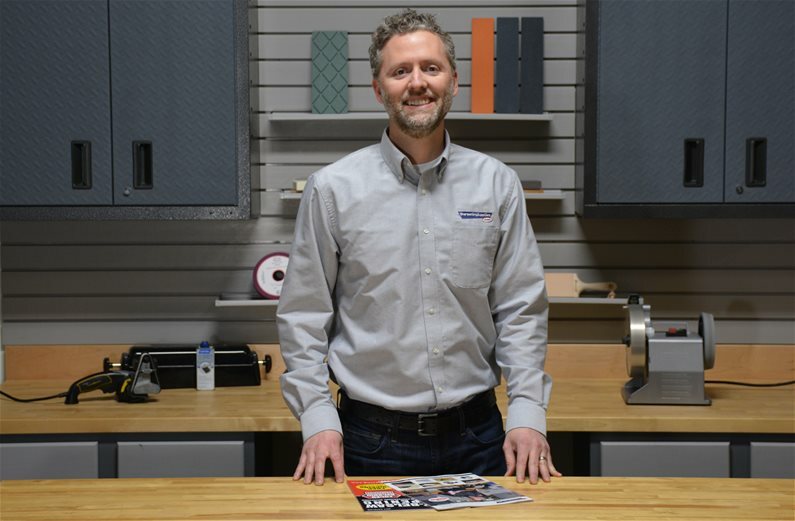 Our number one goal is to educate our customers on how to sharpen their tools and knives. Many people are intimidated when it comes to sharpening. They have never tried it before (or they never had success sharpening in the past) and they have a variety of questions. We always do our best to answer your questions and get you on the right track. Many of the answers to your questions can be found on our website. We’ve created how-to pages and articles that address some of the most commonly asked questions. In addition, we have informational videos available so you can see the sharpening process in action. The videos are very popular because they allow customers to see the whole sharpening process from start to finish. And, if you don’t find the answer on our website, just give us a call (800-351-8234) or drop us a line and we will be happy to assist you. Our success is directly related to our ability to satisfy our customers. So we take customer service very seriously. We are available to answer your questions and we will respond to requests in a timely manner. We get your products shipped out as quickly as possible. In fact, if you order by 2 pm CST, your order will ship the same day. We stand behind our products after they arrive at your door. If you are not satisfied with your product, you can return it for a full refund or exchange. And, if you have questions once you receive your item, we are available to help. When you buy your sharpening products from us you can feel confident that the product is going to work. We do not waste your time with gimmicks or inferior products. We carry only high quality sharpening products that we know will get the job done. 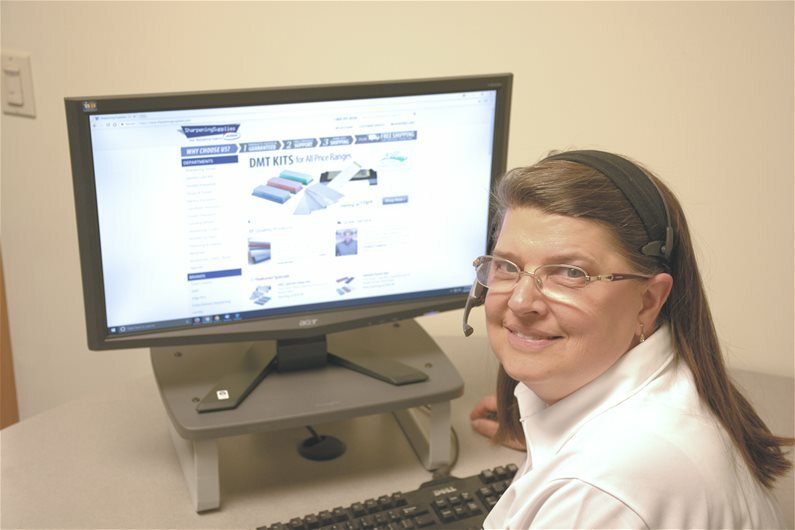 Because we represent a variety of manufacturers, we can help you find the best product for your needs. 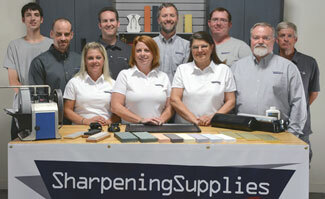 We offer a wide selection of sharpening products in a variety of sizes, prices and styles. Because we specialize in sharpening, our volume give us the ability to offer often discounted prices. We will provide our price and the list price of the product for comparison, if a list price is unavailable directly from the manufacturer we use our original selling price or list prices from available retail sources. In 2006 we started the business selling a few sharpeners. More than a decade later, we now offer over 1,600 different items and dozens of helpful articles and videos available to help you learn to sharpen. From the beginning, our company founder felt it was important to ship and service everything we sell. Since the day we started, we've stocked all of our products in our warehouse. By having our inventory in our own warehouse, we can provide very fast shipping. If you order something from us by 2PM, we'll ship it out that same day. We'll provide you with a tracking number so you can track the progress of your items. 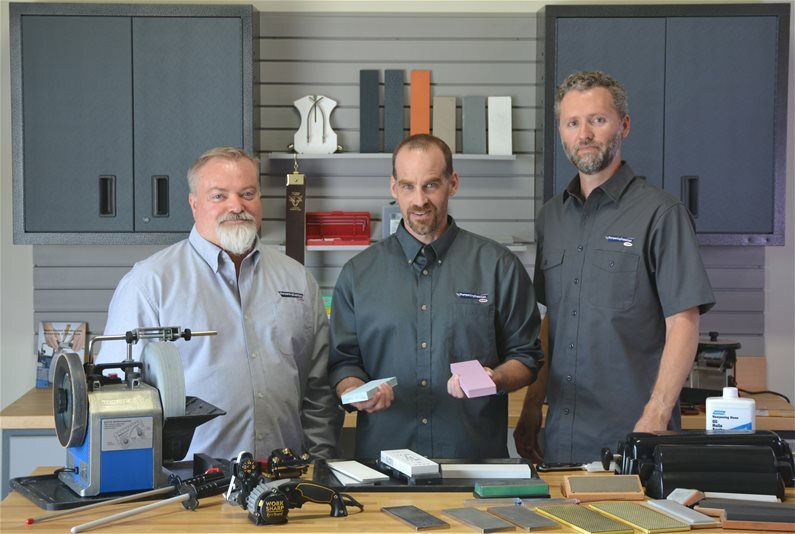 Over the years, we've grown by word of mouth and satisfied customers returning to purchase additional sharpening items. We value our customers and we're happy to help customers with questions long after the purchase. We understand that sometimes sharpening requires a little practice and we're happy to share that experience with you to help you become a proficient sharpener. We are not just a virtual store. 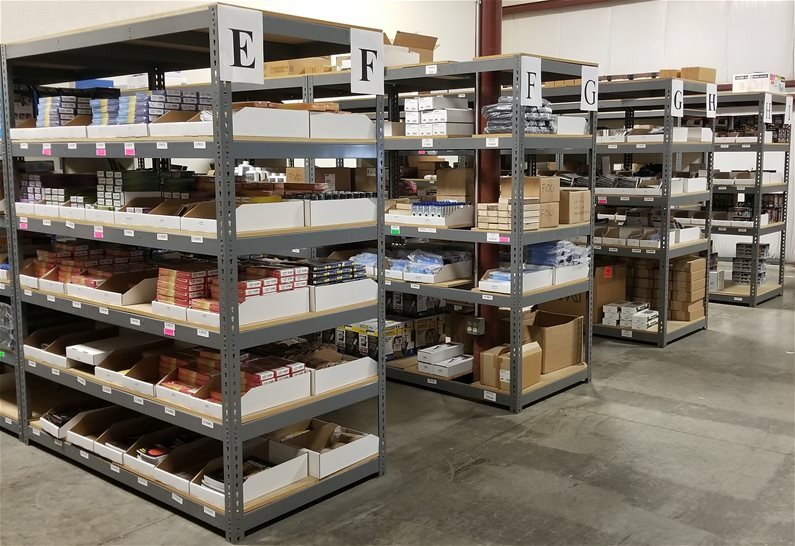 Our warehouse is fully stocked with the products you see on our website. By keeping a large inventory of our sharpeners, we can ensure that you get the fastest service possible. In addition, by having the product within our same building, we can answer very specific product questions that can only be answered with the product in hand. And if you would need to pick up an order, you can always just place your order and we can have your order ready in a matter of minutes.